Irvine, CA ---- Irvine Barclay Theatre and Irvine Unified School District (IUSD) are proud to announce a collaborative arts partnership for the upcoming award-winning season that will offer compelling arts educational experiences to more than 2,000 IUSD students during the upcoming school year through the Barclay’s acclaimed ArtsReach educational outreach program. In January 2019, 800 students will participate in JazzReach, a program that teaches kids about music, the icons of jazz, and jazz's place in American history. Since opening its doors in 1990, Irvine Barclay Theatre has emerged as one of California's most imaginative performing arts showcases. 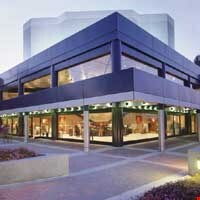 A unique collaborative venture among the City of Irvine, the University of California, Irvine, and the private sector, the theatre has a reputation for wide-ranging programming in the fields of contemporary dance, music, and theater arts. Performances take place in the 750-seat "jewel box" theatre which is renowned for its intimate atmosphere and superb acoustics. Visitwww.thebarclay.org to learn about our exciting new season!